Location: this town is located at the same altitude as its matrix, Malolos, which is just 10 minutes away by car. It is bounded on the north by Calumpit, Paombong and Quingua (Plaridel); on the east by Santa Isabel; on the south by Malolos; and on the west by Paombong. Foundation: Barasoain was a barrio visit of malolos until 1859, the year it separated from its matrix. Its titular patroness is Our Lady of mt. Carmel. In 1866, it had 10,516 souls; its population decreased to 9,618 in 1896. No figures are available for 1980. Construction of the Church: Fr. Francisco Arriola, appointed first parish on June 1, 2859, built the convent. A small ermita, constructed by Fr. Melchor Fernandez in 1816 while he was parish priest of Malolos (1816-1840), served as temporary parish church. One of the existing bells bears the year 1870. It was installed by Fr. Emterio Ruperez. It was donated by the “principalia (sic) of Malolos.” And dedicated to the Our Lady of Mt. 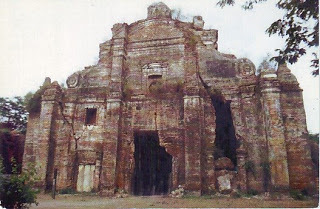 Carmel of Barasoain. Fr. Francisco Royo replaced the temporary chapel with a hewn stone church built between 1871 and 1878. This was soon destroyed by fire. The only remnant of this church is one of its bells, installed by Fr. Royo on February 30, 1873 and dedicated to St. Francis Xavier. Fr. Juan Giron who succeeded him, used the chapel of the cemetery until this one, too, was destroyed by the earthquake of 1880. Fr. 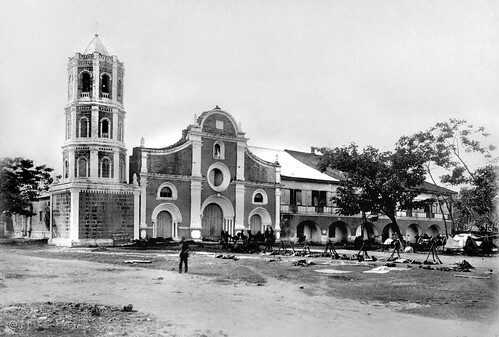 Giron then built temporary chapel of nipa and bamboo which was burned down in 1884, during the solemn celebrations of the feast of Our Lady of Mt. Carmel. 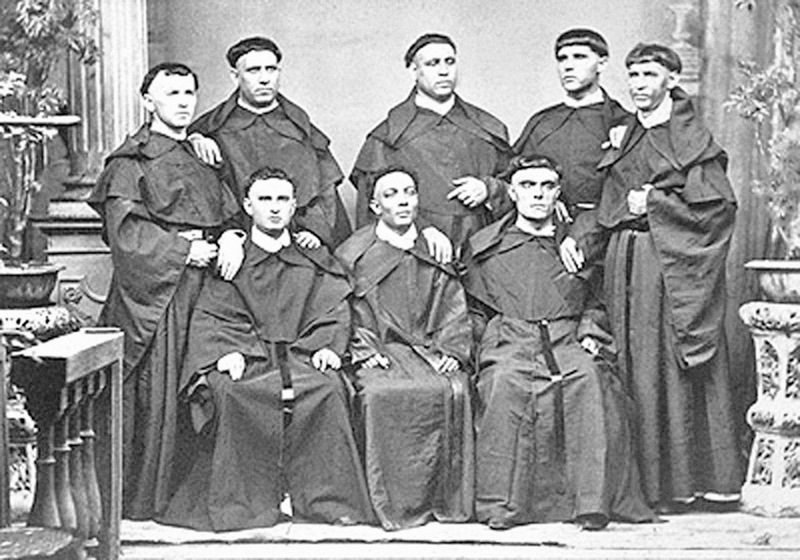 In 1885, Fr. Giron hired the services of contractor by the name of Magpayo and started, a fundamentis, the construction of a massive church made of masonry and bricks. The church was completed under Fr. Giron’s supervision. Jorde does not specify the year of its completion; he says only that, “at the time it was completed the pockets of Fr. Giron were drained.” In 1889, Fr. Martin Arconada started the construction of the tower and the restoration of the convent. Three bells were installed in 1897. One of them is dedicated to St. Martin, Bishop, and was donated by Fr. Martin Arconada. In 1894, Fr. Miguel de Vera undertook another restoration of the convent. Style of the Church: Amon the various features of the façade, the most evident are perhaps those belonging to the Baroque style. The gracefully undulating line running up and down the pediment is echoed successively in the façade, the bell tower and the recessed rose window which cuts the cornice of the center. The lopwer level comprises the recessed semi-circular arch of the main entrance arch of the main entrance which supported by a three column set and is flanked on both sides by smaller entrances, each supported by one column and recessed half niches. The overcrowded first level is balanced by the bareness of the second level. An empty blind niche on this level echoes the semi-circular movement complemented by the undulating pediment line that is broken by wing-shpaed finials. The recent restoration preserved the original pattern. However, there are some fanciful feats like the abortive flutings of the columns which detract from Neo-Classic sobriety. The octagonal four-story bell tower has alternating open and false windows which rise in uneven modules. The moduyles end up in the crenelated base of the pointed pinnacle.